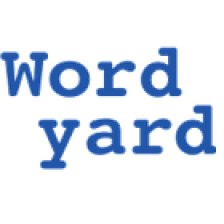 Wordyard / Blogging / AP backs off — or does it? AP backs off — or does it? Confusing NY Times piece up tonight first suggests that the AP has “retreated” in an “about face” after its hamhanded takedown notices sent to Rogers Cadenhead and his Drudge Retort. Maybe this is a face-saving walk-back. But as long as the demand is still being made, the possibility of a really destructive precedent getting set also remains. What a bizarre notion! We are apparently going to serve our readers better by paraphrasing and linking than by quoting and linking (as I just did). This strains credulity. The “spirit of the Internet” has always been about linking and excerpting. Actually, the “spirit of the Internet” is probably even more about wholesale copying. But that spirit has always had to make tradeoffs with businesses like the AP. I hope the company’s leaders continue to step back from the absurd brink they’ve conjured for themselves. I’ve grown tired of websites that quote too much. More than 50% of some sites like BoingBoing are between blockquote tags. On some lazy days, it’s 70 to 80%. And the remaining 10-20% is just bland introduction. Fair use is important, but a number of bloggers do close to nothing but quote. Let’s start rewarding the people who burn some shoe leather. I don’t think it’s confusing. I think the AP thought the DCMA letter was a bit much, but at the same time, it stands by its earlier actions. You’re a journalist: how important is a story’s lede? If all that the Drudge Retort is doing is copying the title and lede from the AP stories, do you really feel this constitutes fair use? If all that the Drudge Retort is doing is copying the title and lede from the AP stories, do you really feel this constitutes fair use? That’s not all the Retort bloggers are doing. If you look at the summary of the takedowns and compare the Retort to the AP stories, you’ll see that many of them aren’t just a copy of the lede. Several include direct quotes that aren’t part of the lede, and one’s a comment that excerpts the last two grafs of the story. Bob — you can vote with your feet for sites that “burn shoe leather” — I’m with you there (that was one of the principles Salon always worked by). But we’re talking about legal precedent here, not personal preference. Shelley — if the entire Drudge Retort site was AP heds and ledes, maybe there’d be a better case. But AP is saying it’s illegal to mingle links ahd short excerpts to AP stories in the stream of what a blog publishes. That strikes me as extreme and destructive. Yes, I do think that what’s happening at the Retort site is fair use. The Drudge Retort is pure cut and paste. What is the site giving back to justify the copying? What value does the site add? Scott, I don’t think we know fully what the AP is saying. The organization, itself, has said that they needed to provide a more definitive understanding of their view of this situation. There’s a lot of people who have excerpted and linked to AP stories — why would the AP single out the Drudge Retort? Personally, I would think we’d want to hold on our opinions until the AP comes out with their “guidelines”. Than if we think they’re onerous, we can give our opinion. But ultimately, if we don’t like it, the most we can do is not link to or quote an AP story. You know what’s ironic, webloggers have been slamming the mainstream media for years now, and telling the new media organizations, like the AP, that they’re no longer needed. If so, then why would we even care if we could, or could, not exceprt from the AP? After all, we don’t _need_ them, do we? Isn’t that what we’ve been saying all along: we don’t you, AP. If so, then Rogers, why would you even _need_ to link to the stories or public an excerpt? A viewpoint from a self-confessed ‘minor’ player (although Wonkette once threatened to sue me for libel). I think there’s a major difference between quoting snippets or more that just a few sentences, what I would term as ‘extracts’, and selecting from a story more than 1-2 sentences in order to point out why you disagree with the logic, the facts or the thrust of what that story is saying. If you are using it ‘just for show’ then what the AP is angry about is a bit jutsified. But if you are making use of the material so as to exhibit an example of media bias or a lack of media ethics or to show how the writer, especially in op-ed pieces, is not telling what you think to be the truth. The other concern is a bit more frivolous: when you want to satirize or make use of a piece for humorous effect. Today I quoted a bit extensively from a story about a female hairdresser in Rafiah, Gaza having her shop blown up in order to suggest that fiction parallels life by then linking up with the new movie “The Zohan” (which has an Israeli agent working in a hairdressing salon in NY owned by a Arab Palestinian. And by the way, if a journalism professor copies extensively from a news story , is he, in some way, blogging in class? Because I’m not one of those bloggers who says we don’t need the mainstream media. The bloggers on the Retort find interesting news stories in the pro media, which they subject to analysis and criticism through discussions that often run into hundreds of comments. I think that’s a worthy undertaking that adds, in its own small way, to the common good. Now the AP gets to decide what quotes add to the stories or comments? It’s easy to limit word counts or lines, but when you start walking worth you’re talking subjective terms. If that were the AP, it doesn’t matter if now you click on the link and check out the main article. Passing that quote (do numbers count?) along would have cost me over $50. Sometimes an excerpt is useful to flesh out an opinion piece. Normally if I write about the Apologist Press, it is to point out how little they deviate from whatever the official White House line of the day is. I far prefer content from other news sources in any case, so the AP’s hysterical attack on the Drudge Retort isn’t much of a deal to me. How much of a deal is it going to wind up being to THEM, though? Now that none of us will excerpt them, their content will be confined to MSM sources that a whole lot of us never use and won’t excerpt from. It strains the imagination to believe that excerpting was anything but a positive for the AP in terms of overall readership; I know I am quite likely to click a link if I’m reading a blog post. How is it going to benefit them now that a hell of a lot of the people who used to use them will turn to McClatchy, Reuters, or UPI? Только вот вчера об этом думал, так что пост как нельзя в тему! В целом, вебмастер уныло написал!